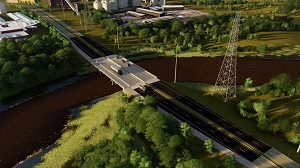 Despite the absence of industry standards for Bridge Information Modeling (BrIM), Pennoni has developed their own BrIM procedure for their bridge design projects. Their approach incorporates various software components to develop interoperable 3D design models and can use the models for analysis, design, plan development, visualization and many other design tasks. The models are utilized in every phase of design and in construction. 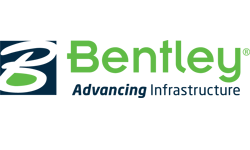 The models are developed early in the concept and proposal phase – with the added benefit that the same model can evolve with the project as it is advanced through TS&L and subsequent milestone submissions and construction. 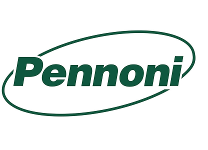 Developing 3D design models has provided Pennoni engineers and designers with a tool to visualize the entire design. This allows their engineers to better identify problems during design, instead of being uncovered later in construction, where costs from unforeseen delays can escalate. This approach streamlines preliminary designs and produces higher quality visualizations and proposals, resulting in more project wins. Post award, the efficient use of the same models reduces project man-hours and improves project budgets. Additionally, the BrIM process also acts as secondary quality control – helping to reduce errors and increase overall level of quality in the project deliverables.